A new deal every day from Audible. Today’s deal ends 04/15/2018 @ 11:59PM PT. Timid, socially awkward, and plagued by self-esteem issues, Fred has never been the adventurous sort. One fateful night – different from the night he died, which was more inconvenient than fateful – Fred reconnects with an old friend at his high school reunion. 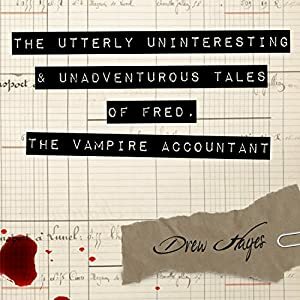 This rekindled relationship sets off a chain of events thrusting him right into the chaos of the parahuman world: a world with chipper zombies, truck driver wereponies, maniacal necromancers, ancient dragons, and now one undead accountant trying his best to "survive". Because even after it’s over, life can still be a downright bloody mess.